If I were of a cynical nature, I might suspect that this volume possesses an agenda beyond explaining the world's most important and least predictable Muslim country to Westerners. But an awkward combination of a pretentious title and a lightweight style employed by its author should not distract Saudi-watchers and other interested readers from the importance of this work. Karen Elliott House acknowledges candidly the long roster of criticisms of the Saudi kingdom that have accumulated since the shock of September 11, 2001—including the fact that 15 of the 19 terrorists attacking the United States that day were Saudis. In 2006, the author retired as publisher of the Wall Street Journal, while her husband and boss, Peter R. Kann, left his position as chief executive officer of Dow Jones & Co., and House allows that, when writing this account, the then-Saudi ambassador granted her a five-year multiple-entry visa. This leaves the impression that On Saudi Arabia is intended to assist the Saudis in disowning al Qaeda, disavowing other excesses, and promoting a clean slate and new accounts for the land and its absolute rulers. To emphasize, House has admitted the truth of nearly every complaint about Saudi Arabia advanced since 2001. As she makes clear, Wahhabism is—notwithstanding the denials of radical clerics, Saudophile academics, and other superficial media commentators—the official interpretation of Islam in Saudi Arabia, and House refers insistently to the sect by that name rather than by the less contentious term "Salafism." (As she puts it, "Salafis [is] a more politically correct term for Wahhabis.") While "Salafi" denotes an emulator of Muhammad and his companions and successors in early Islam, "Wahhabi" refers to an extremist sect that emerged in Arabia only 250 years ago. The first is an abstract ideal; the second is an ideology with a bloody and oppressive history. House traces the latter-day rise of terrorist incitement and recruitment inside the desert monarchy to the Saudi trauma of November 20, 1979. It was then that a band of Wahhabi fanatics took over the Grand Mosque in Mecca. After an ineffectual siege by authorities, the structure was retaken with the help of French commandos. The raid on the Grand Mosque had been led by a Wahhabi preacher, Juhayman Al-Uteybi, who was captured and beheaded along with his followers. But, in House's words, while the royal house of "Al Saud killed Juhayman and his cohorts," they "adopted [Juhayman's] agenda of intolerance, spawning yet more radical Islamists and eventually their deadly attacks on the United States on September 11." Toward the end of her account, House additionally stipulates: "After the 1979 triumph of Ayatollah Khomeini and the establishment of his theocracy in Iran . . . the late King Fahd shoveled money into spreading radical Wahhabi Islam around the world." The author confirms the reforming tendencies of King Abdullah Bin Abdul Aziz, who took power after the death of Fahd in 2005. She describes Abdullah's patronage of modern universities, and recalls that the United States, after 2001, demanded "controls on Saudi largesse to Islamic groups that funded terrorism." Such financing, she intimates, was cut back at King Abdullah's order. She emphasizes that most jihadist foot soldiers are products of the Saudi middle class but are not necessarily intense in their religiosity, and that many are motivated by a desire to escape a repressive home life, or are mere adventurers. 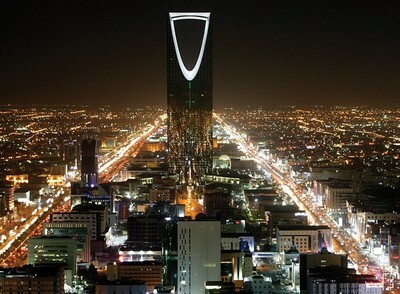 Much of House's survey of Saudi society focuses on well-known flashpoints of internal contradiction: the execrable status of women, the unsuitability of religion-centered education for Saudi youth seeking employment, and the large share of the populace comprising foreign workers ("Pakistanis, Indians, Bangladeshis, Filipinos, and others") who have no rights. The latter totals one-third of the country's population, according to a 2010 interview House conducted with the Saudi minister of labor. Her account of how women adjust to Wahhabi demands that they cover their entire bodies, hair, and faces, as well as their subordination to men, is disappointing in that she concentrates on female interlocutors who are left anonymous, or given cover names, and who seem often to accommodate Wahhabi limits on their personal lives. One especially dismaying lapse is House's acceptance, on the basis of a telephone interview with the deputy education minister, that Saudi authorities "rewrote" religion textbooks to "curtail teaching of intolerance against Christians, Jews, and Shia Muslims." According to House and the minister, the new textbooks will be introduced this year. But critics of the Saudi educational system, including international bodies such as Freedom House, have been denied opportunities to examine the new textbooks, and the authentic extent of their reformulation is a matter of unresolved debate. Here, House has failed as a reporter. Indeed, nearly all the points in On Saudi Arabia have been made before, but now have an apparent Saudi seal of approval. Yet the book suffers ultimately from two problems. First, it was in production just as the late crown prince Nayef, a Wahhabi hardliner, died (in June) and King Abdullah used the opportunity to strengthen reform elements in his cabinet. This leaves some of the book already out of date. In addition, House's attempts to link the Saudi situation with the recent series of Arab upheavals, as well as her predictions for the future, are vague and insubstantial. House is further questionable in her insistence on equating the Saudi kingdom with the former Soviet Union, and predicting that the kingdom will fall if it does not embrace glasnost (publicity/dialogue) and perestroika (reconstruction). While the Soviet empire and the Saudi kingdom exemplify gerontocracy, there are essential differences between them. Communism was exhausted as an ideology when the Muscovite system collapsed. As this book shows in its better chapters, Wahhabism remains a vigorous and volatile ideology, even as King Abdullah seeks to reduce its power. A Soviet-style crash is unlikely, and more encouragement is needed before the king would remove the Wahhabi clerical class from its present state of religious monopoly over the country. That is the key to Saudi normalization, as the author effectively concedes.